The past few years have been terrific for mobile gaming. The improvements in hardware has resulted in developers pushing harder with what they can come up with. It has also resulted in a lot of console and PC games being ported over, as it is now possible to do so without losing much in the process. 2014 was a great year for mobile games, with a lot of new games and ports appearing on both the major mobile platforms. We went through a ton of them in the course of a year with our reviews and although some of them were quite disappointing, most were excellent, which is why it was such a hard task to choose the top ten best games of the year, and even more difficult was to arrange them in an order. 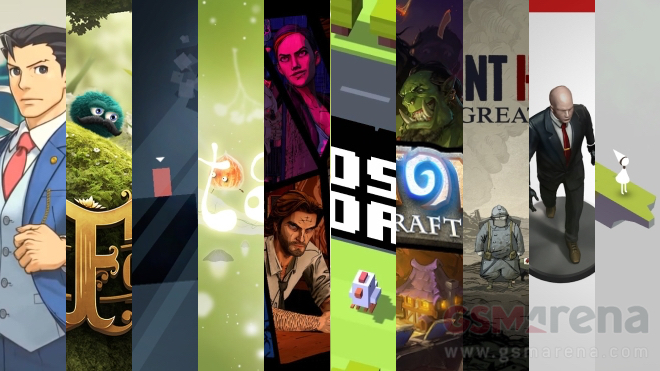 It was a tough job, but we did it anyway and now that we have the list, here are our top 10 mobile games of 2014. You may or may not have heard of Threes but you must have heard about or played 2048 by now, which is a shameless ripoff of Threes (and why it doesn’t have a place on this list). 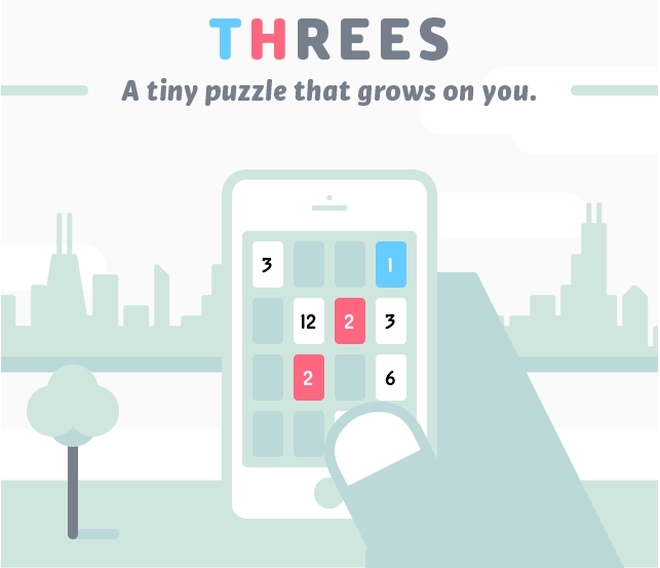 But while 2048 may have copied the core gameplay mechanic of Threes, it couldn’t quite capture its personality. Threes is more than simple addition of numbers. Each of the numbers have a character of their own and react in different ways. The animations are beautiful and the music is lovely. It’s a bit more strict with its rules and how you can add the numbers, but that’s also where some of the charm lies. Overall, Threes a lovely game for those who enjoy well-made casual games, that unfortunately got overshadowed by its cheap imitation. 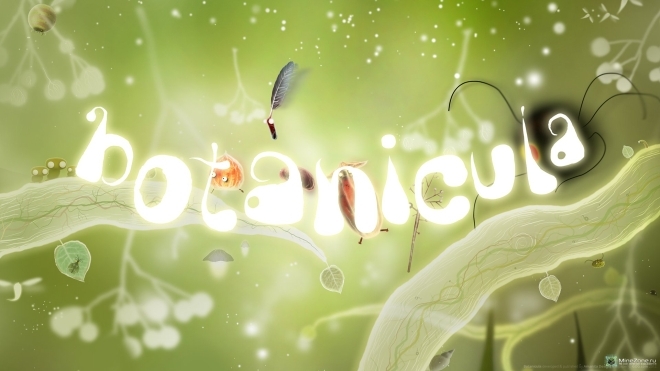 Botanicula is a port of a popular PC game, made by the same indie developers who created Machinarium. Botanicula creates a wonderful dream-like world of animated plants, fruits, leaves, and trees who go on their adventure to save the last seed from their home tree, which is infested by evil parasites. The game is characterized by gorgeous artwork, which seems to be a forte of developer Amanita Design, wonderful music, and above all, excellent puzzle based gameplay. The second Ace Attorney game on iOS (well, technically fourth since the first was a trilogy) is also the best one yet and sees the return of the series protagonist Phoenix Wright as the main character in the game. 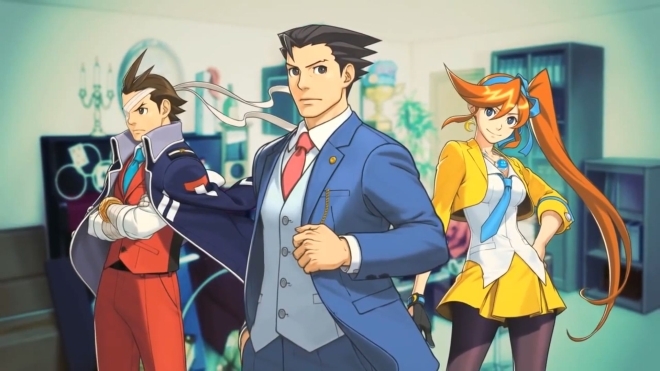 For those not aware, Ace Attorney is a series of visual novel games featuring lots of legal battles, mystery and adventure. Dual Destinies features five excellent episodes with a different story in each (but part of an overarching story of the game) and hours of gameplay content. Although it’s mostly reading text, which is part of the visual novel experience, you will also have to take important decisions in court as you face your opponents. The writing is very entertaining, full of hilarious content, and will keep you glued till the end. The iPad port is also perfect (better than the original trilogy game for sure) and feels right at home. Overall, a very entertaining game for fans of the Ace Attorney series, or visual novels in general. 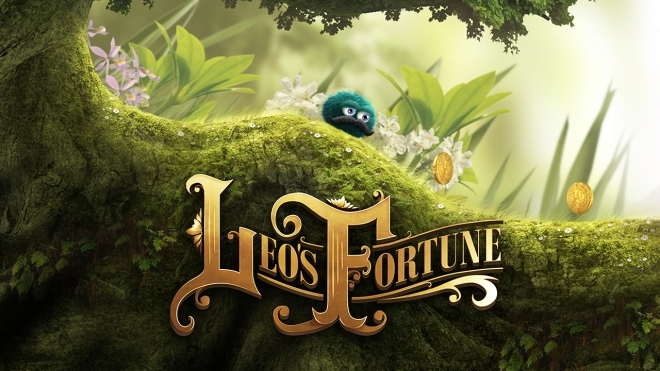 Leo’s Fortune is a beautiful side-scrolling platforming game. You play as Leopold, who may appear as a soft furball but has the personality of an older eloquent gentleman with a glorious mustache to match. The game features several gorgeous hand-drawn levels and lots of great platforming action. You can either choose to breeze through all the levels in one sitting or grind at each level until you get all three stars, which is easier said than done. Overall, a fantastic platforming game for people of all ages. 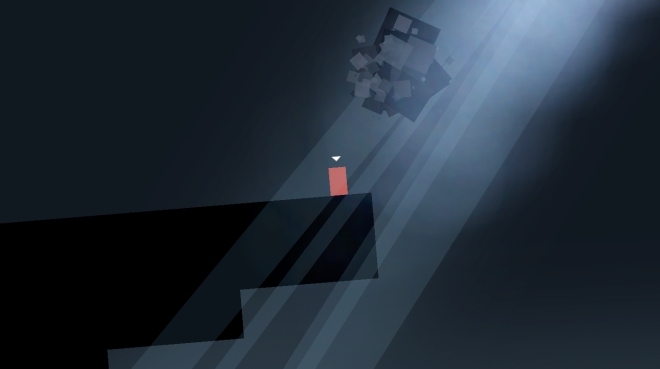 Thomas Was Alone is another port of a very popular indie game on PC and consoles. It’s a platformer where you play as two-dimensional quadrilaterals with different abilities, such as being able to jump very high, float on water, double jump, or hang upside down. With their abilities and the help of others around them, you guide the quadrilaterals But while that alone would have made for a decent platformer, the developers went ahead and gave a name and unique personality to each of the quadrilaterals, and although they never talk, you hear their thoughts through the game’s utterly fantastic narration by British humorist Danny Wallace. It’s the writing and the narration by Wallace that turns a decent game into something truly special that sticks with you long after you’ve finished the game. Hearthstone is an online multiplayer card game, where you play one-on-one matches against your opponent using a deck of cards. The cards feature characters from Warcraft universe and have different strengths and weaknesses. Your objective is to reduce your opponent’s health to zero by using the attacking powers of your cards while avoiding dying yourself. 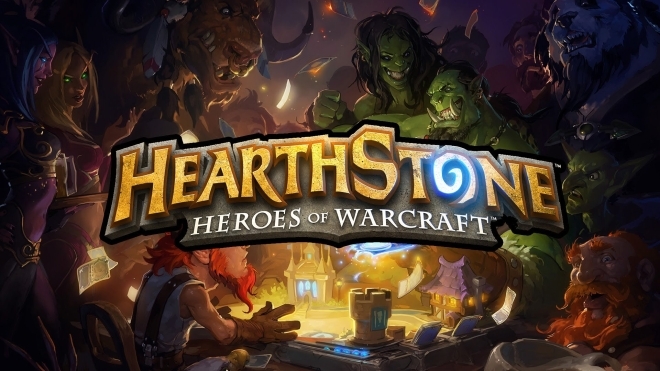 Hearthstone uses Blizzard’s online account and lets you play with anyone around the world, whether on an iPad or a PC. The game is free to play but you can purchase additional card packs to improve your chances of winning. Once sucked into this, it’s hard to let go, with players clocking several hours every day playing against strangers and friends online. Other than addictive gameplay, Hearthstone features excellent character designs and animations for different attacks, and all of which has transitioned very well from the PC onto the iPad. There’s a lot to like here, and it’s easy to see why people have spent hundreds of dollars on this game and why it’s one of the most popular games this year on any platform. 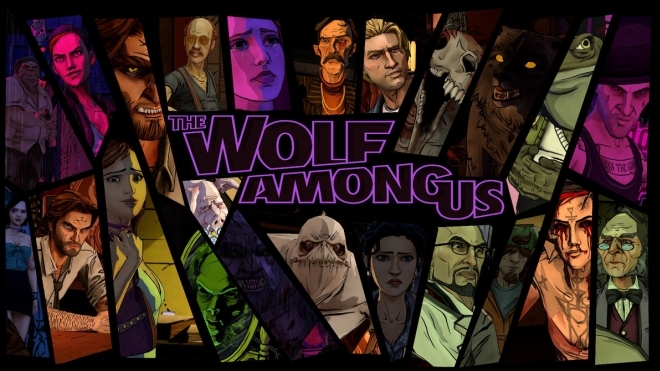 The Wolf Among Us is a brilliant episodic series of games based on the Fables series of comic books. The game is created by Telltale Games, the people who made The Walking Dead series of games, among others, and features their trademark point and click gameplay, episodic format, and cel shaded graphics. The Wolf Among Us tells an intriguing story of a murder mystery with the same top notch characters, writing and direction we have come to expect from Telltale Games. Each of the first four episode ends with a cliffhanger, leaving you wanting for more and episode five serving as a satisfying ending to the story. If you enjoy the point and click style of gameplay, this one is worth buying if you haven’t already, especially for the story. Coming in at No. 3 is a game no one really saw coming but at least for me was one of the most entertaining games I’ve played all year on any platform. It feels deceptively simple at first, but you soon learn that timing is everything and if you don’t time your jumps right you will soon find yourself spread thinly across the road surface. 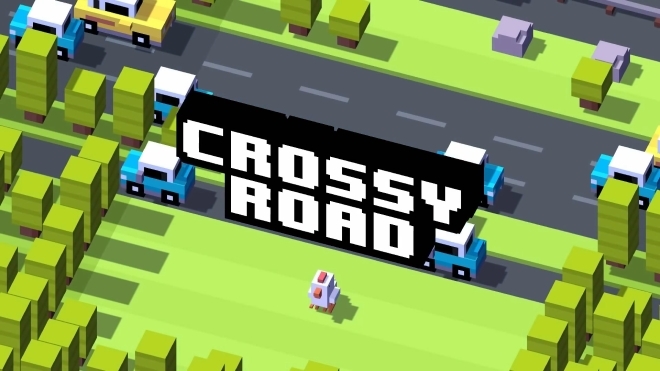 Based on the classic game Frogger, Crossy Roads features dozens of characters, pretty pixel art graphics, and a great sense of humor, not to mention an utterly addictive gameplay. 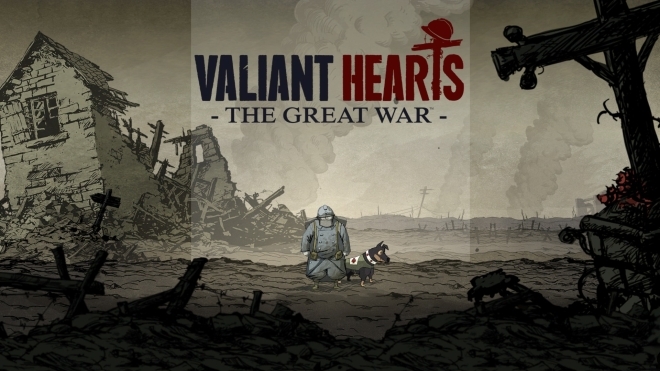 Valiant Hearts is a beautiful game. The story is beautiful, the characters are beautiful, the graphics are beautiful, even the music is beautiful. The gameplay is fairly straightforward with simple puzzles and platforming, but as far as the overall game is concerned, Valiant Hearts is just a wonderful and memorable experience throughout. I started this list stating how difficult it was to collate all these names and list them in order of greatness. But while that is true, it’s only true for the last nine names on this list. There was never a doubt as to which the best game of the year was going to be, because it was always going to be Monument Valley. First with the original game and later with the expansion pack, developer ustwo absolutely knocked it out of the park, setting a new standard for art and level design in a mobile game. Gorgeous visuals, unbelievably intricate level designs, delightfully thoughtful puzzles and characters that without saying a single word connect with you. Each of the nineteen levels the developer pushed throughout the year has been an absolute pleasure, leaving anyone who played them wanting for more. 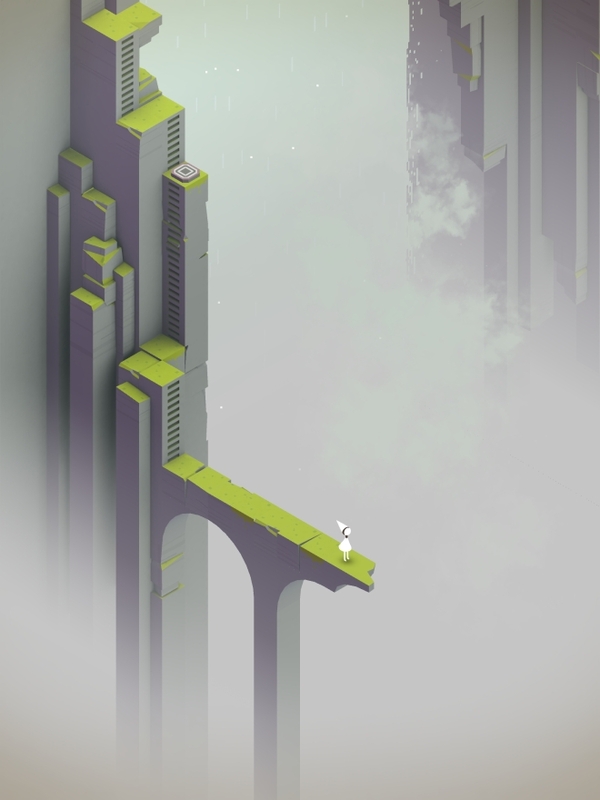 Monument Valley is the current gold standard for mobile games, and a fine showcase for a platform that isn’t just about a wannabe console experience but capable of truly great unique gameplay experience that can be as good as any other gaming platform out there. Trying to whittle down the list to just ten item resulted in a lot of good games being left out, but I felt these three deserved a mention anyway, so here are the three runners up that very narrowly missed being in the list above. Alone is a wonderfully made and polished arcade game that has you controlling a shuttle flying at blinding speed through speed while avoiding mountains, falling debris, and comets. The game truly tests your reflexes and great for those who enjoy twitchy games that require split second response times. 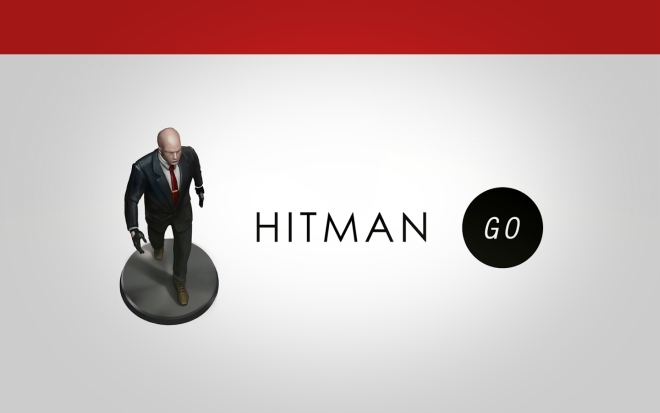 Although not quite the same Hitman game that some may have expected, Hitman Go features a unique gameplay style that’s made to look like a board game. The game looks beautiful and is really fun to play as well. Not your usual Hitman experience but something different and enjoyable nonetheless. 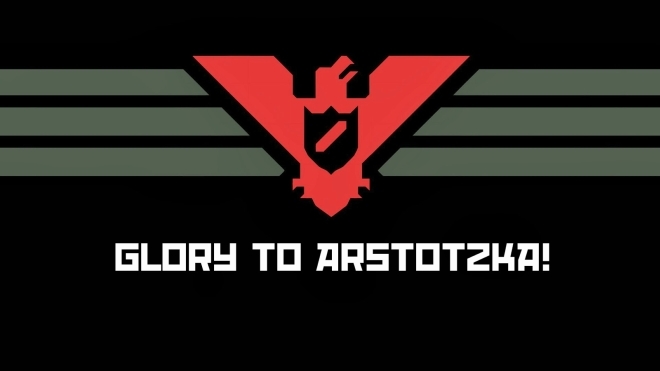 Speaking of different, it doesn’t get any different than playing an immigration for fictional country, and Papers, Please lets you do exactly that. Go through people’s passport, find discrepancies, deny them visa, detain them, heck, strip search if you want. Just make sure you bring enough money home at the end of your day to feed your cold, hungry, and possibly dying family. Even if it means having to do something immoral. God I hate this game. But I can’t deny how many hours I must have spent playing it, as did millions of other people back when it came out. It was possibly the single most talked about game of the year, not helped by the various controversies concerning the developer, who seemingly was having a hard time with all the publicity the game brought him, leading him to eventually pull the game. The gameplay was utterly ridiculous and practically impossible, but we played anyway, trying to get that damn bird to go as far as we could just to get a score high enough to brag about to your friends who were probably just as bad at it as we were. The game spawned countless clones, as is usually is the case, along with several parodies and inspirations, most notably the Android 5.0 Lollipop easter egg. 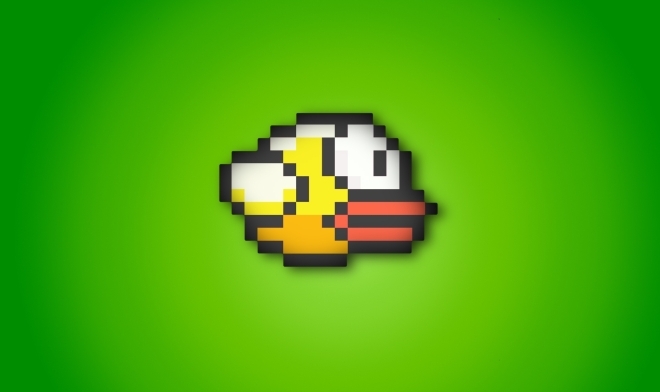 The hype has since then died out and the game no longer exists on the store, but for some of us, the Flappy Bird will forever have a special place in our heart and mind. Not to mention, nightmares. So this is our list of top games of 2014. I’m sure there are more games that I may have missed and these are only the games we reviewed during the course of the year. If you know a game that was launched this year and deserved to be on this list, let us know in the comments below. And if you haven’t tried the games on this list, do give them a try. Happy playing, and a happy new year as well.